Any hoo…I am not all knowing. Do I know more than a lot of people about diabetes? Hell yeah!! Do I know more than everyone? Hell no!! I know MY boys. Doesn’t mean I’m always right…but I am the BEST person to make decisions on their behalf. That being said, just because pudding at midnight works for my youngest like a magic doesn’t mean it will work for your kiddo. Just because I turn off my youngest pump for an hour when his blood sugar is 100 at 10:00pm, doesn’t mean doing that for your child will yield the same results. But, if I didn’t, would that make me a bad mother? Which brings me to my point, (I know it always takes me FOREVER to get there,) But I am here now, and my intended topic is this…pump pushing. Poor Lora has had me on her case for months. I’ve tried REALLY REALLY hard not to push it on her. Like seriously, I had to make a conscience effort. I KNOW that the pump is easier. I know that living life on your own schedule and not your insulin’s schedule is a blessing. But just because I know this for me…doesn’t mean it is 100% right for her. Only she can tell you if I have pushed too hard…but beyond that…I hope she feels like this is her decision, and not something she HAS to do. Because I have to continually remind myself that, believe it or not, there are many people in this world on MDI, (multiple daily injections,) and they are thriving. And when you have been doing MDI for so many years, and your child’s blood sugar numbers are good, there is a comfort in that. There is comfort in knowing what to do at 8:00 at night, when your child is 102…that this many carbs will do the trick of bringing so and so up to where they need to be. Beautiful predictability…it is an awesome thing! But, and this is a big but…we all started pumps on our own clock…the time in our lives when it made sense to us. Hell, it took 4 years for our endo to convince us to go on. And I resisted, because shots were doing their job…blood sugars were as good as they could be for our toddler…so I fought it like any protective, caring mother would. And one day shots were not working anymore, and I literally gave in. I raised the white flag, and gave up. “Fine, I’ll give the pump a try, but I’ll probably hate it. I don’t like having a constant reminder of my child’s diabetes, but if this is my last resort, I’ll take it.” It was ultimately my choice, or better explained as my rock and my hard place, but after getting used to the pump it was a no brainer for me to have my other two boys put on pumps immediately after their diagnosis. But that was my path to take. And everyone deserves the freedom to make their own informed decisions. One of my friends has two boys that are T1. One is on the pump. One is on MDI. If you sat with her and listened to her reasoning, you would agree that their decision was brilliant. The best choice for their family! So here I sit…conflicted yet resolved. Yes, pumps are the best thing since sliced bread. No, you are not a bad mother (or father) if your child is not on a pump. That is my crazy brain, and I’m stickin’ to it. If only there was one clear, defined path of therapy that worked reliably and for everyone. The complexity and variability of diabetes is what makes it so hard. It would be so much easier if the rules could fit into one book, but thank goodness we have such a strong online community to share with and learn from. I agree with you Meri - the patient, or in our cases, the patient and the patient's parent(s) knows what it right for them. There are many and varied right answers when it comes to diabetes care. Jessi was on MDI for 6 years. A1C's usually in the 8's...I think twice in the 7's. Phooey. Went to our first ADA expo and had all the pump reps there at that time (Animas,Medtronic,Cosmo). Fell IN LOVE with the Animas 20/20 idea. Kaiser got a new Endo and he said Jes would benefit from a pump. Much deliberation and research later, we took the plunge. And never looked back! Jessi was having issues with (I think)old ahesive that 'burned' her tummy site areas. She wanted back on shots. Dr. said a 'pump vacation' was good for her and she'd probably go back to the pump after a few months. We are seeing brilliant numbers with the occasional doosies. But honestly....I. miss. her. pump.! I miss the convenience of not having to pull out syringes and vials. 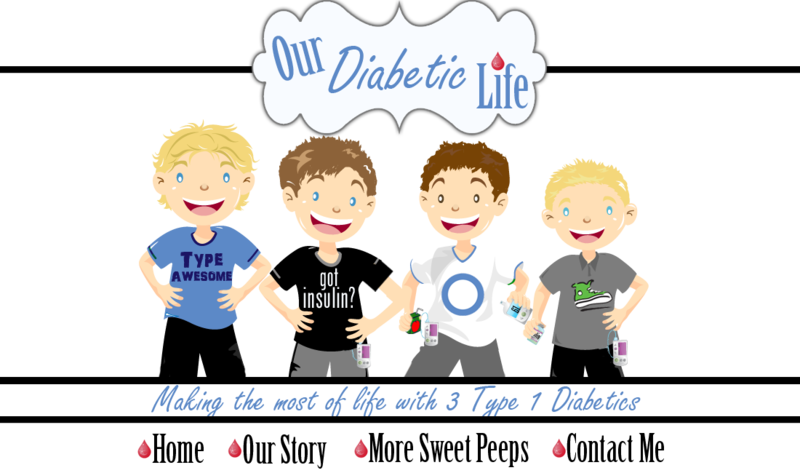 I miss the 'remote control' dosing of insulin, not to mention the pump calculated EVERYTHING and I could be jello headed for once! LOL! I just miss the 'freedom' I think it gave her. She'd say otherwise because she's not 'tethered' to anything and can move and wear clothes without a hitch. We'll see how long these shots last. (did I mention remembering Lantus is a chore) But even though I feel I make the best decisions for her, I needed to do the shots because she needed some say so right now. And yes, our contact gives us all great info and shared experiences. Bravo Meri - I SO agree! I think everyone has to decide for themselves what works for their family, their child, their life. You can't get to the place where you decide the pump is the route by people pushing you, believe it or not, just like anything else in life, you have to get there when you get there. I think both roads are fine. Both roads work. I have found that people are pretty respectable when it comes to decisions around this. Meri, you have been at this way longer than me, so you've probably seen it differently. I do feel that people have left G and I alone to figure out when and which we do the pump. We are finally in a place that G wants to do it. I feel like I can handle it (at least that's what I tell myself!) It took a while to get here, but I had to walk the path with my family to get here, with no one pushing me from behind. I thank all of you out there in D-Mom-land for that. The lack of pushing. Much appreciated folks. We're at the place where *I* want the pump, but my 7yo DD isn't sure she wants to wear "that thing" yet. And I can in some way relate to that... when I was pregnant I had to wear a Reglan pump for hyperemesis. So... I'm trying not to be a pump pusher with my own child. Well as for one who has been on Mdis since dx at 16 and am now 49 EEK !!! Lol . I thrive very well and basically it is all I have ever known if given the chance would I try the pump , I can honestly say I dont know . But no health insurance does not help the case either so I guess time will tell but for right now the mdis will have to do !!! AMEN SISTA! AMAZING how foods/illness/excersize/growing etc is SO different for each person! To each his own! Well said as always Meri, thanks for this. Love ya! Both of my girls are on MDI, Miss E does NOT want to be on a pump at all. Not sure where the fear is coming from, but she is not ready to make that change. I'm not sure how she would feel having a pump attached to her? Great reminder about how to try to be as supportive as possible and informative at the same time. The funny thing for us is that when my son was diagnosed we wanted the pump right away so that we could accurately dose him, he's so tiny that the .05basal rate was really appealing. However, my husband who has been treating his diabetes with MDI for 20 years has a pump sitting in the garage for quite some time now, not even taken out of the box. His HbA1C's are excellent and he's got a great routine...so, hey whatever works, right?! Perfectly well said!! :) We are still on MDI's while waiting for stubborn insurance approval. I'm ready for a pump, but we've done really well on MDI's and I could go longer if needed...I think Jada could, too. Our A1C's have been in the 6,7 & 8 range over the last two years...8.1 being the highest. I agree, too! Each person/family is different and what works for one won't work for everyone. Kinda like jeans. We may be the same size- but I can guarantee we won't look the same in the same pair!!! We LOVE our pump. And because of this, I may come on too strong sometimes. Sorry!!! We just found something that works for us and I want others to fine the same success. We started pumping really early. Because AVERY wanted one. Even at 3- she knew that was for her! Shots were awful for us. She cried and fought each one. Every. Single. One. We need such TINY doses. We were struggling with meals because so much of what she eats is low carb- we were having to fill with high carb treats so she could get insulin. The pump has been wonderful- FOR US. Avery loves it. She says that it is the BEST thing about having D! Whatever therapy you do, the hope is that you find success with it. HOW you find success it not as important as that you DO! Great post! Couldn't agree more. My son is on MDI my biggest worry when it comes to the pump is for who is more convinient for the kid or for us? And I am not clear on that. I love this post! I think I say that on all of your posts! I could not agree more. I never felt pressure about pumping. I wanted it SO bad --- I was running toward the light at the end of my very dark tunnel. The pump works for us!! Thank you, Jesus!! My issue is the pump choices. I felt like people were pushing certain pumps and I felt bad for the choice that we made. I try very hard not to push any pump because I honestly loved something about each of them. I made the choice that was right for our family and for my son. I just hate the fact that I am made to feel bad about the choice that we made. Did I just start a new post on your blog??? Oops - sorry! I guess I will go now. I completely agree with what you have said Meri, but I am of the opposite view. My kids do daily injections and for the same reason they enjoy their freedom. I don't know of any restrictions that come with injections. 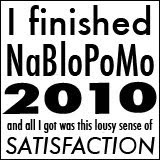 Then again I can't account for what type of programs other diabetics are on or what your guys were on. I wrote a pretty good post about this, I would like for you to read. It's called Pump=Tool (not cure). Here's the extent of my kids regimine. Test (just like yours) eat whatever and whenever they want (just like yours)whip out their pen and take a shot for food and overage if needed. Thats it. Again, I have no idea of the restrictions you are talking about. My kids are very very active and we made the decision that if it's the same amount of work, why would they want to mess with having a pump attached. It's all a lifestyle decision. One works no better than the other. They both need diligent looking after in order to get the numbers you need. They just suit different lifestyles. Also, in my post there is very important information about a study on long term effects of those with a pump versus injections. I do applaud you for standing up for what you have chosen. And I think it's good that you want to share that with others, but honestly..it's not better...it's just different and it works for your family. That's all. My post is attached below. Renata, Thank you for your comment! Yours is the exact point that I hoped to make, that MDI can be just as effective as pumping. My comments were mostly directed to those who have very young children with diabetes. Teenagers are very capable of handling their own injections...carb counting and figuring ratios. As for the freedom aspect, many young children in the states use NPH. It is quite restrictive, as it peaks, and an exact amount of carbs must be eaten at exact times of the day. An example of freedom my young sons were able to enjoy with the pump were frequent playdates. (Friends parents, aunts, grandparents and such, are much more willing to administer insulin if it is through a few buttons, rather than a injection.) Another example is my 6 year old being able to have the cake that was brought to school last minute, even when I wasn't able to make it in to bolus him. The nurses in our school system will only come once a day. My son did not have to abstain from the special party...he called me and bolused himself. And I feel confident that he can do so because of the safegaurds the pump provides. It does the math for him...it keeps tabs on insulin on board so he does not double dose. Also, if my boys are going low...I can turn off their pump for 30-60 minutes and they will recover from the low without eating. Oh, I have a million reasons why I love the pump, but that is niether here nor there, because the most important thing is you have a million reasons why you love MDI. Hence, you say tomato, I say to-mah-to! We are doing what is right for our families, our children and our situations. Just some of us who have been on MDI and have changed to the pump, tend to be eager to let others know of the benefits. Sometimes a little too eager...maybe even pushy. This post was me addressing that issue. I wasn't able to read your link, it isn't correct. If you would like to re-do it I would be curious to see what it says. I know that there are parents in the states that have misgivings about Lantus as well. Thank goodness we live in countries that let us make these educated decisions on our own! I should have mentioned that my kids are on Lantus for long acting...some people can't take Lantus but it seems to work well for us. Both kids are on split shots (am and pm). I know you get it Meri, the point in my writing my post on my blog a while back is that so many parents don't. They need to adjust how they view the options available to us. There is no one way to manage and one particular way isn't going to magically be easier. I just wish more people would go into it with eyes wide open. Tracie, any way you can move to a pen? We have been using the pen for years along with needle tips. They just screw on. I use to give Kelsey her shots when we had to use syringes. What a PITA, but the pens allowed freedom. You can dial up the dosage, pop on the needle tip and away you go. Humalog doesn't do half doses (which is what we use) but there is another insulin pen out that does offer half doses. If your kid is already on Lantus, you should bring up the pens ASAP with your Endo. Struggling with bottles and syringes is unecessary. You are so right. 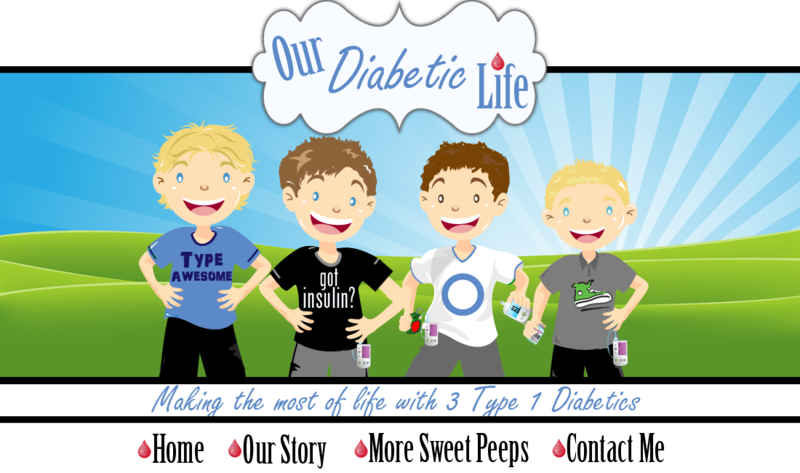 We all have different ways of trying to manage diabetes (whether our own or our child's). And while pushing past our "comfort zone" can grow us into being more knowledgeable and flexible, we can't be forced into that spot. Sorry just realized I didn't correct my link. Here it is. It really is all about comfort zones, isn't it? Sometimes it's ours - sometimes it's our kids - sometimes it's our doctors! It definitely can "grow us" and that is a good thing! Not always an easy thing - but a good thing! I found some comments here to be somewhat hypocritical. Here are a few direct quotes: "it's not better...it's just different and it works for your family. That's all." "There is no one way to manage and one particular way isn't going to magically be easier." But, interestingly, this was followed by "you should bring up the pens ASAP with your Endo. Struggling with bottles and syringes is unnecessary." Well, our child hated the pen and it caused bruises on their skin. So, we did feel it was necessary to use syringes instead of pens. You were right on with your original comments. It's ok to share what works for your family. But, it is up to each family to decide what is best for them and their child. It took T-Bear nine months to decide he wanted a pump. Now it can't come fast enough for him. We've been supportive of whichever available therapy he wants, while trying to help him understand the pros and cons of each. But, boy I'll be happy when he's pumping!